Congratulations to the Rev. Samuel E. McPeek, pastor of Faith Lutheran Church in Lafayette, LA, on completion of his Doctor of Philosophy degree in English, with a concentration in rhetoric. He successfully defended his dissertation which is entitled, “Religious Rhetoric and the Radio: The Sermons of Rev. Dr. C.J. Hoffmann, International Lutheran Hour Speaker 1955-1988.” The degree will be conferred upon him on August 4, 2017, at the graduation ceremonies of The University of Louisiana at Lafayette. 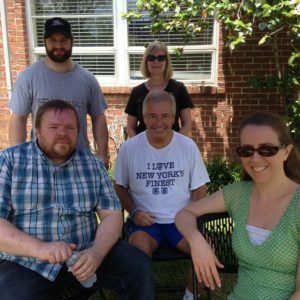 On May 28, Redeemer in Fairhope, AL, said farewell and Godspeed to Stanley, Payton, and Andrew Lacey with a recognition breakfast. 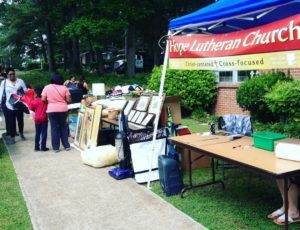 On May 13, Hope Lutheran Church in Birmingham, AL, hosted the Community Fun and Faire event. This is an annual event. 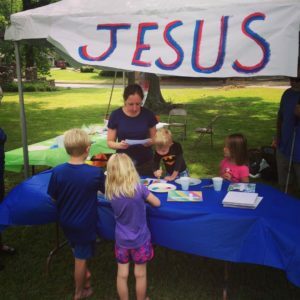 This event features a community yard sale, a children’s fun zone and learning zone, music, and a cookout. We appreciate all of our members who contributed to this year’s event! A video from the event is posted on our Facebook page. 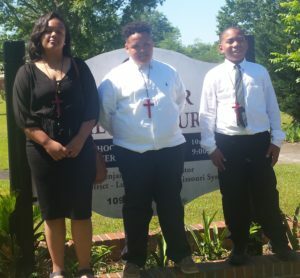 Taheya McGhee, Jacob Evans, and Tari McGhee were confirmed at Ebenezer Lutheran Church in Atmore, AL, on Sunday, May 7, by Rev. Benjamin Stallworth. The confirmands, family, and friends enjoyed refreshments after the service. Greetings from Grace in Huntsville! The LWML ladies of Grace held a quarterly meeting on May 6–a Derby Day salad luncheon. 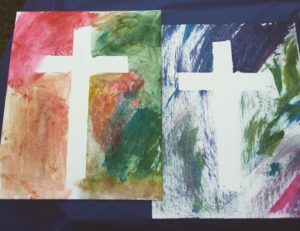 Christ Our Savior in Panama City Beach, FL, has signed a one-year lease for afternoon use of their fellowship hall by a local nonprofit organization. Girls Inc., a program targeted at girls aged six to eighteen from low-income families, had been looking for a location in Panama City Beach to expand their outreach.